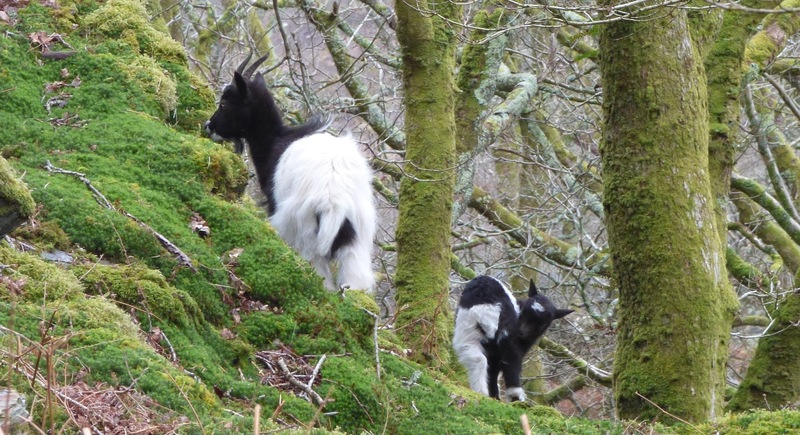 Day 23 and the kid goat is doing fine, following its mum around and grazing. 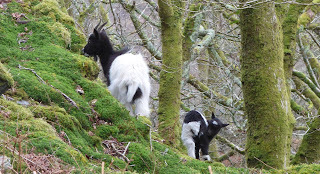 A short distance away was another female goat which called out a warning when she spotted me. For the moment the kid and its mum continue to stay around the bottom hairpin bend but it won't be long before wire fences become passable and then their range will extend and they can rejoin the rest of the gang.